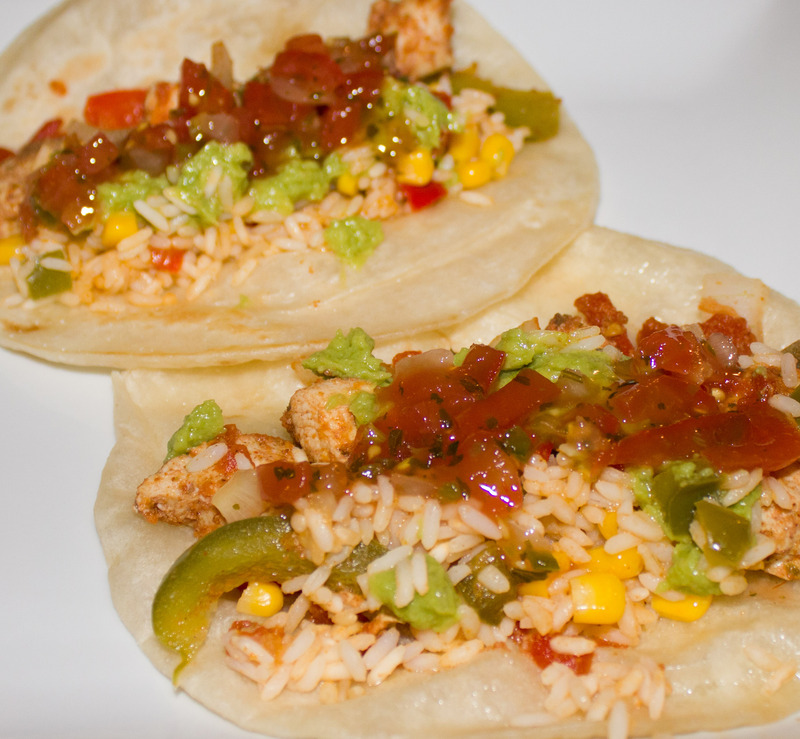 Our first Sunday back in America was spent celebrating Cinco de Mayo with both our families, which allowed me to finally cook a new recipe two new recipes! I wanted to attempt something besides tacos but was on a limited time schedule. Both of these recipes were extremely easy/fast and complimented each other and our Dos Equis well. What did you do to celebrate Cinco de Mayo (if you can remember that far back)? 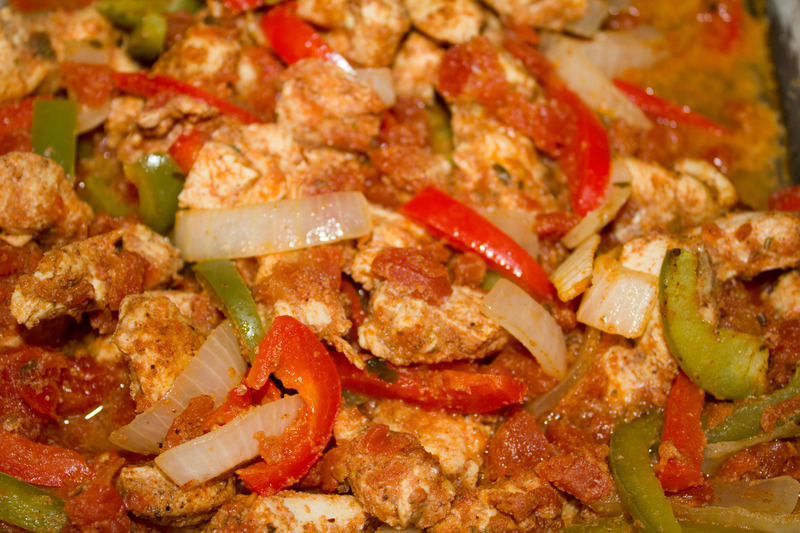 What’s your favorite homemade Mexican dish? In a very large bowl whisk together the enchilada sauce, sour cream, and salsa. 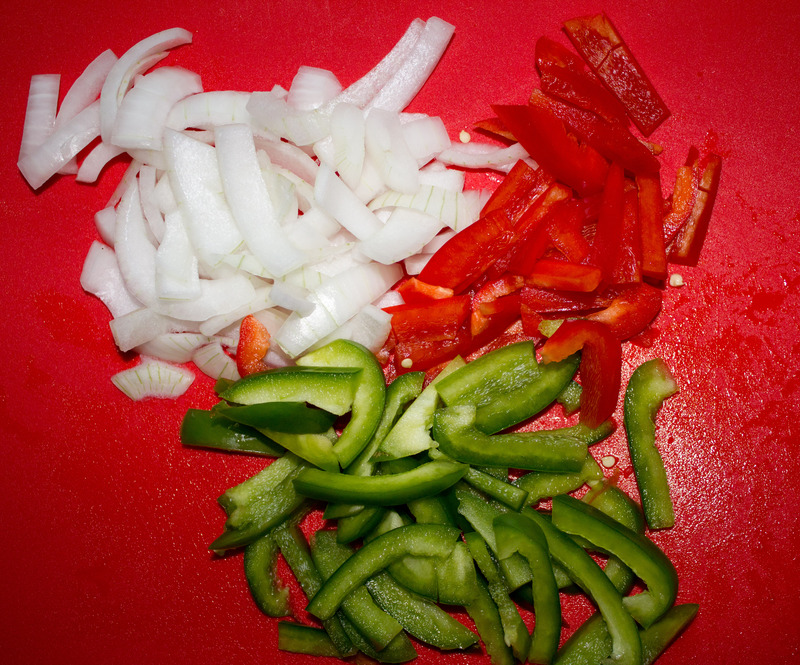 Add cooked chicken, thawed corn, and green chilies; stir to combine. Stir in torn corn tortillas. 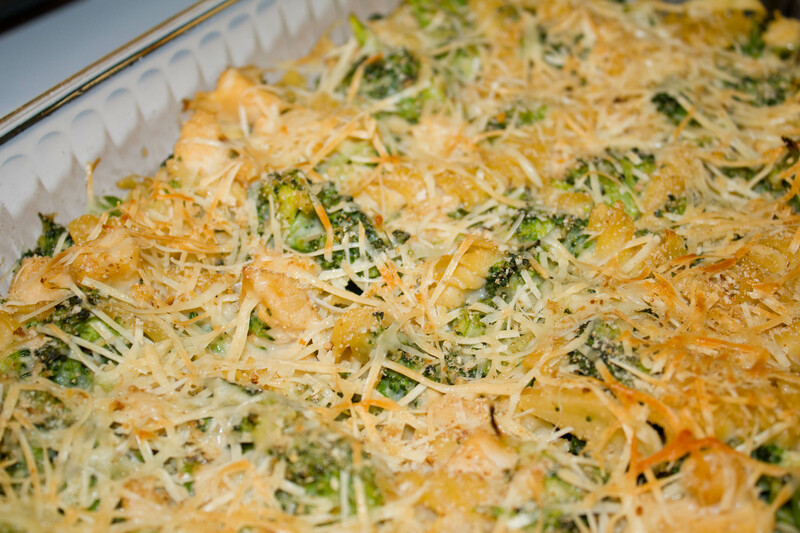 Spray a 9×13″ casserole dish with nonstick spray and spoon mixture inside. Top with cheese and bake at 350 degrees for 25 minutes or until golden brown and bubbly. Allow mixture to rest 5 minutes before serving. 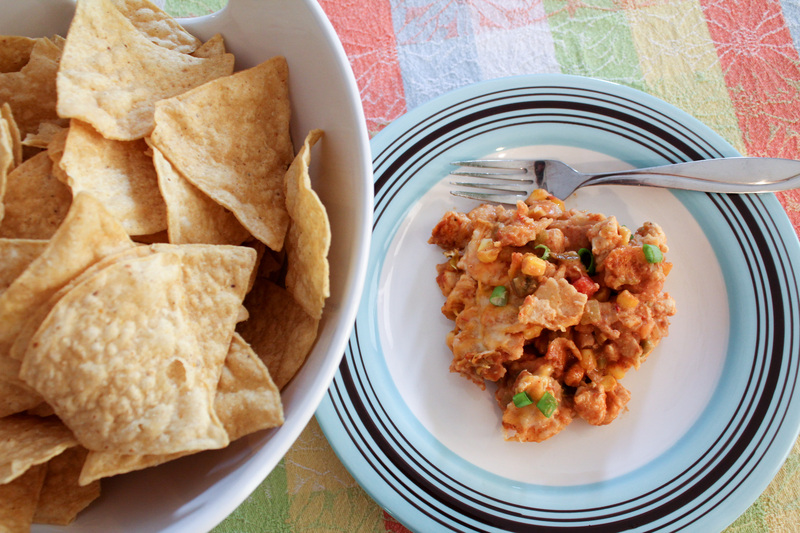 Instead of making this a main dish, I would omit the torn corn tortillas, top with salsa after baking, and serve as a chip dip (how we ate it and loved it). Heat oven to 375 degrees. Brown ground beef in a large skillet, drain grease, and add taco seasoning according to package directions. 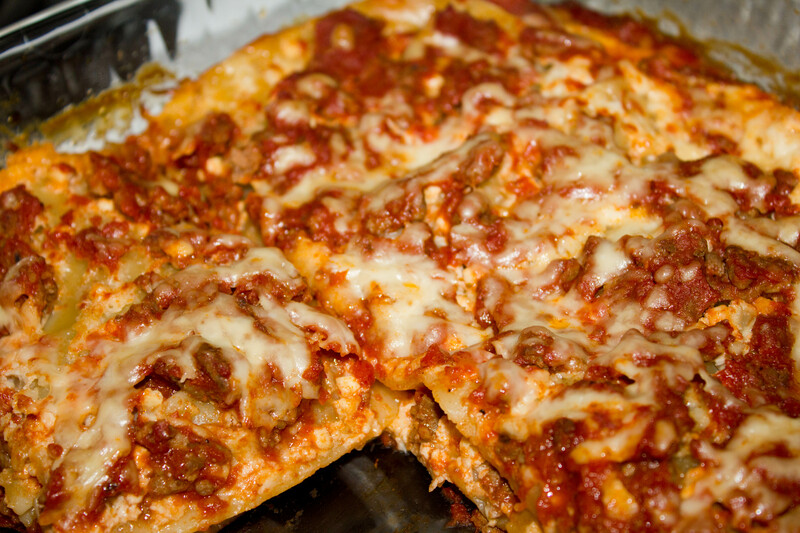 Unroll pizza dough onto a 15×9 ungreased cookie sheet and let set at room temperature 5 minutes. Press the dough over the bottom and along the edges of the pan, bake for 8-10 minutes or until lightly golden. Microwave refried beans for 1 minute, stir well, and spread evenly over pizza crust (I only spread the beans over half the crust for guests who didn’t like beans). 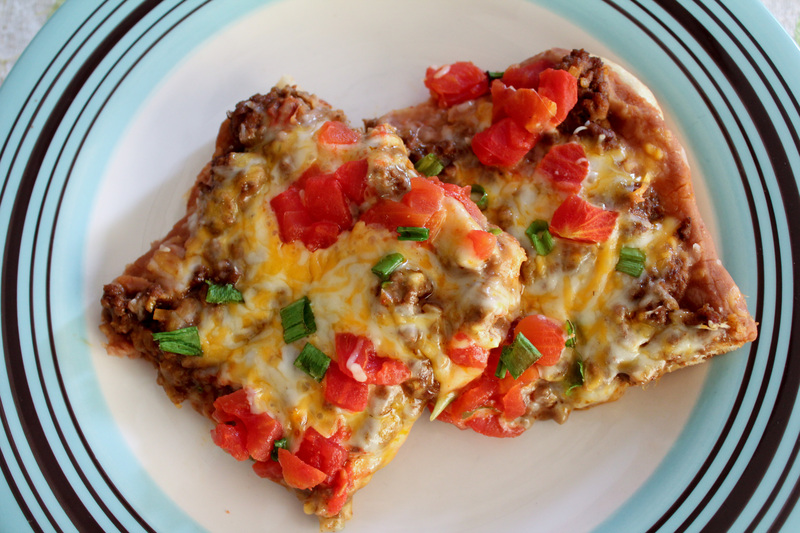 Top with ground beef, cheese, tomatoes, black olives, and green onions. 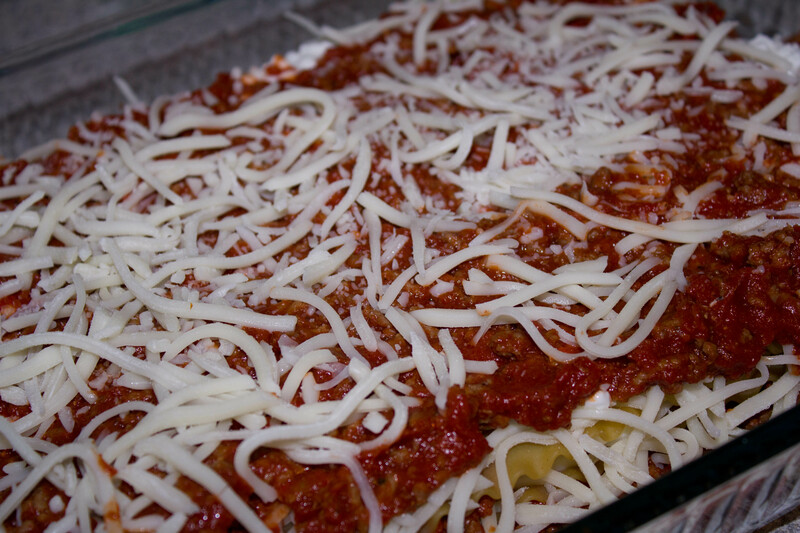 Return the pan to the oven for an additional 5-7 minutes or until cheese has melted. Serve immediately. This past weekend my roommate Lindsey and I had the honor of hosting our annual January girls weekend. Brooke and Erin had a 6+ hour drive on Sunday to get back to Des Moines so our typical Sunday itinerary includes a little breakfast before they take off. 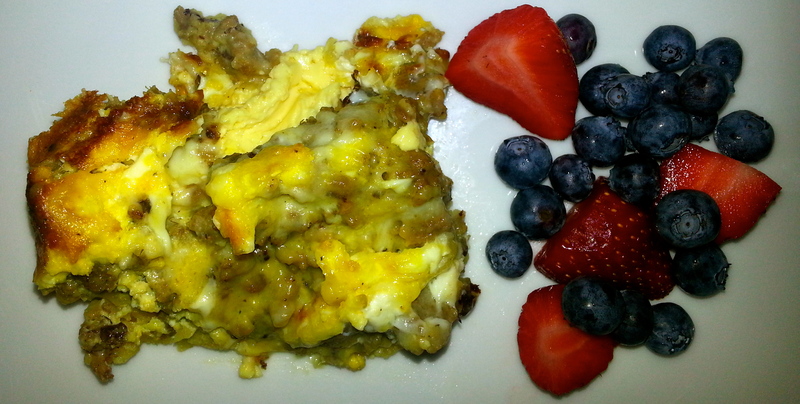 I decided it was time to branch out from the standard bagel breakfast with this casserole recipe I found on Pinterest (with a few of my own adaptations). I don’t want to toot my own horn, but I’m going to because this casserole was AMAZING. Crumble and cook sausage in medium skillet over medium heat until browned. Drain. Line bottom of greased 13 x 9 inch baking dish with crescent roll dough, firmly pressing perforations to seal. Sprinkle with sausage then cheese over the crescent roll dough. Bake approximately 25 minutes or until set – you want to make sure the egg is cooked throughout the entire casserole. Let stand 5 minutes before cutting into squares; serve hot. 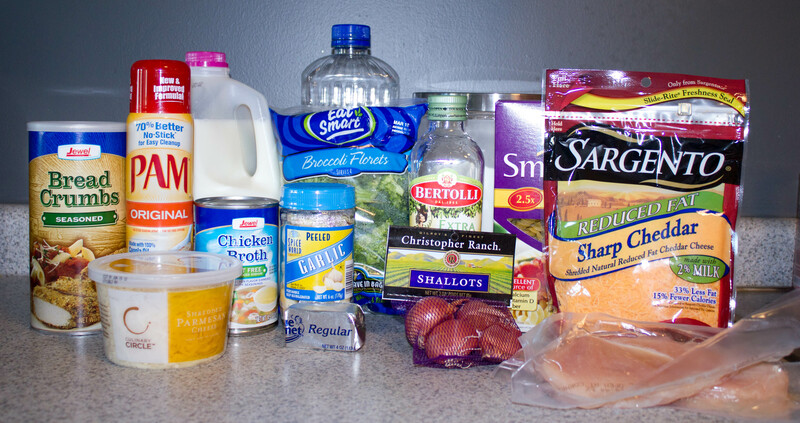 Refrigerate leftovers. Preheat the oven to 400 degrees. Place chicken strips into a greased 9×13 baking dish. In a small bowl combine vegetable oil, chili powder, cumin, garlic powder, dried oregano, and salt; drizzle over the chicken and stir to coat. Stir in the canned tomatoes, onions, and peppers. Bake uncovered for 20-25 minutes or until chicken is thoroughly cooked and vegetables are tender. 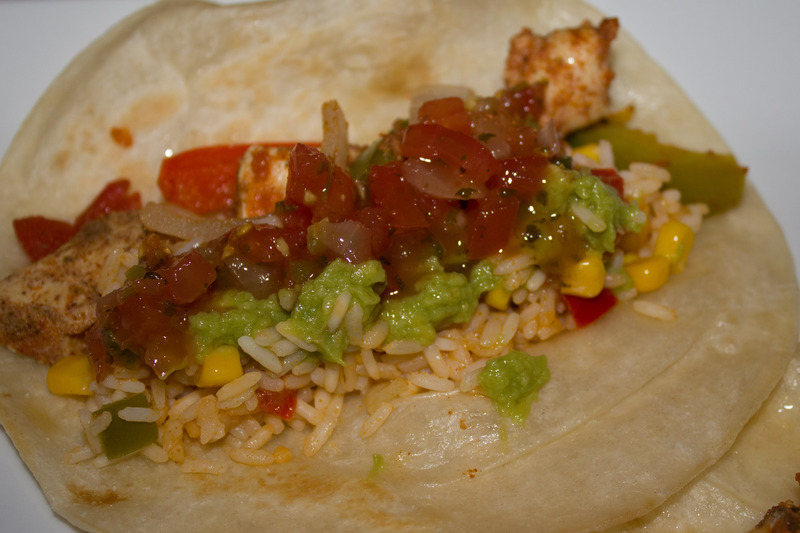 Serve on tortillas with desired toppings. Don’t forget to enter the giveaway to win a beautiful Nori necklace from Pop of Chic! 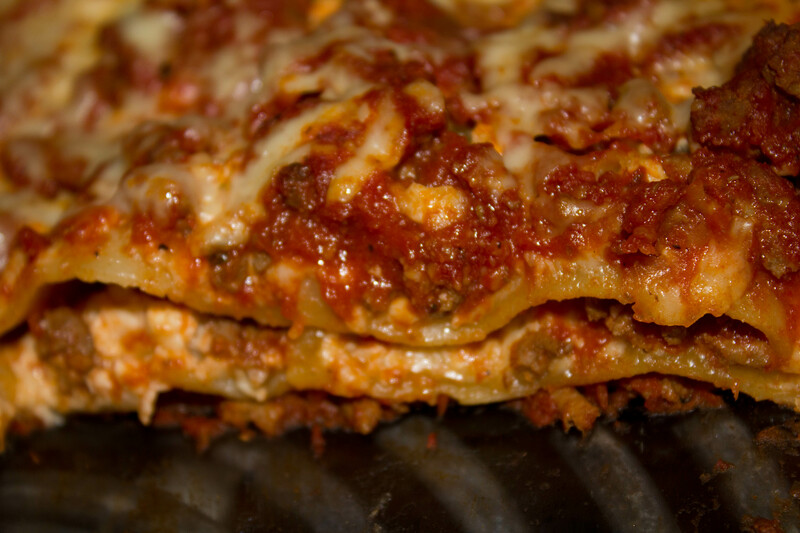 After a weekend full of busy activities with my girlfriends, Leigh and Amanda, it was a nice change of pace for the three of us to slow down on Sunday to make this delicious lasagna family recipe of Leigh’s, play card games, and catch up on old times. In medium skillet, cook ground beef and garlic salt together until meat is brown. Drain fat and add tomato paste, tomatoes, salt, pepper, and oregano. Cover & simmer for 20 minutes. 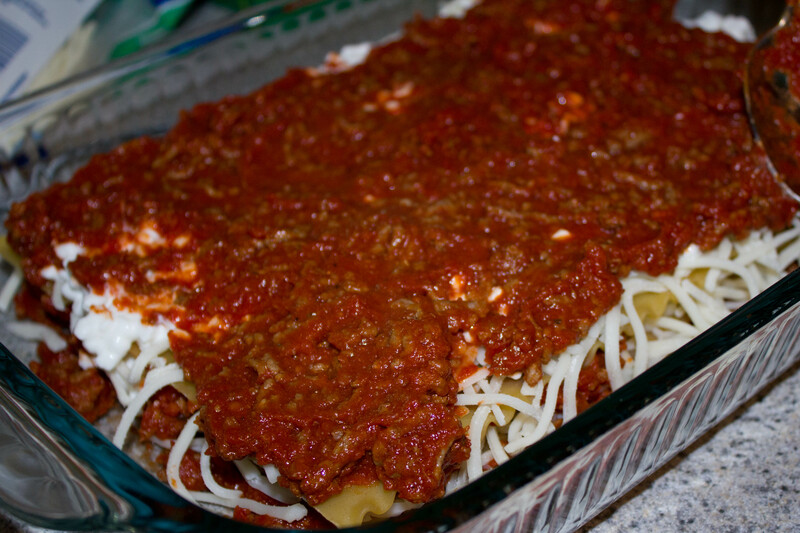 In an ungreased baking dish and beginning with the meat sauce, alternate layers of meat sauce, noodles, mozzarella cheese, and cottage cheese ending with meat sauce and an extra layer of cheese on top. Cover with aluminum foil and bake at 350 for 60 minutes. Allow to sit for 5 minutes before cutting into pieces to serve. Throughout college my go to recipe for a fancy dinner in with Justin was Chicken Broccoli and Rice, which consisted of dumping two bags of Cheddar Broccoli Rice packets, two slices of Kraft American cheese, a tablespoon of butter, and a can of shredded chicken into a large pot and letting it simmer for fifteen minutes. No wonder I gained the freshman fifteen. As much as it makes my skin crawl typing those ingredients, those dinners hold a special place in my heart and although extremely unhealthy were undeniably delicious. 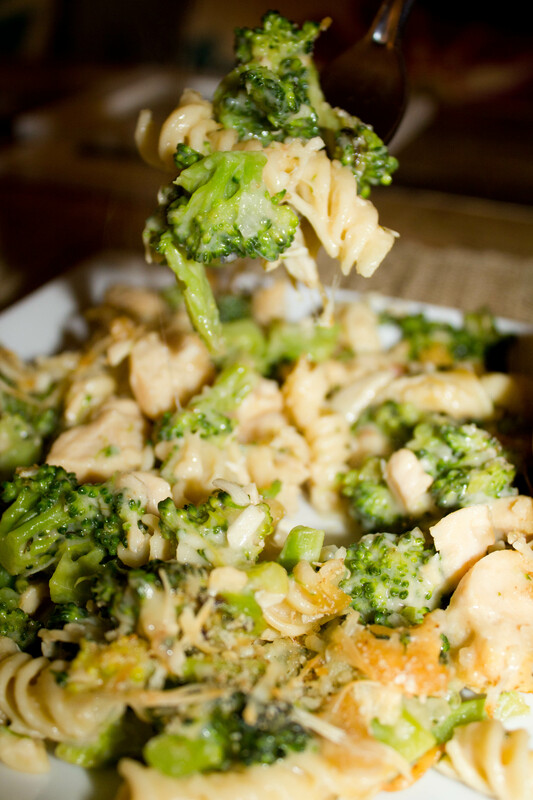 When I saw this Chicken Broccoli Noodle Casserole recipe from Skinnytaste, I knew it would give us the same amazing tasty flavor with way less prepackaged, processed fat and it absolutely did not disappoint. If you haven’t checked out Skinnytaste.com yet, you definitely should head over to try Gina’s personalized healthy recipes that are always delicious. I’ve already tried three of her recipes (seen here and here) and they were not only healthy and tasty without sacrificing any flavor but satisfied Justin as well. Check them out too if you are on Weight Watchers as she gives point values for servings and other nutritional information. 1. Preheat the oven to 375. Lightly spray a 9×12 casserole dish with cooking spray. Cook noodles in salted water until al dente; set aside. 2. In a large skillet over medium heat, heat oil and cook garlic about 1 minute until golden. 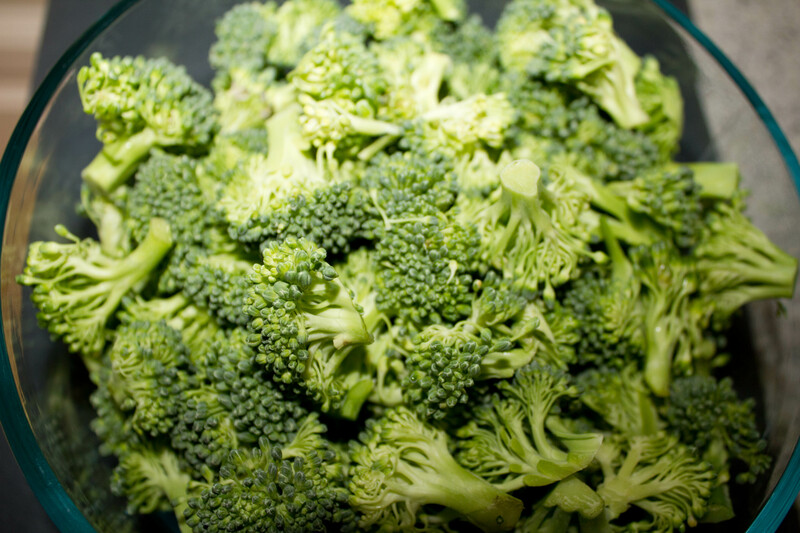 Add the broccoli and a pinch of salt, cover and saute for about 3 minutes. Set aside. 3. In a large pot over medium-low heat, melt butter. Add the minced shallot and cook about 2-3 minutes until soft. 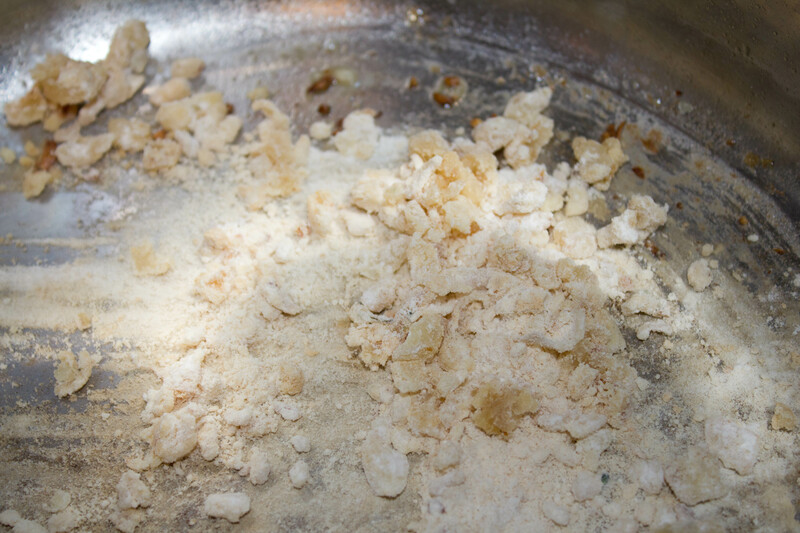 Add the flour and a pinch of salt; stir well and cook an additional 2-3 minutes. 4. Slowly whisk in the chicken broth until well combined over medium heat for about 30 seconds. Add milk and bring to a boil. Simmer on medium heat for approximately 6-7 minutes stirring occasionally until sauce thickens. 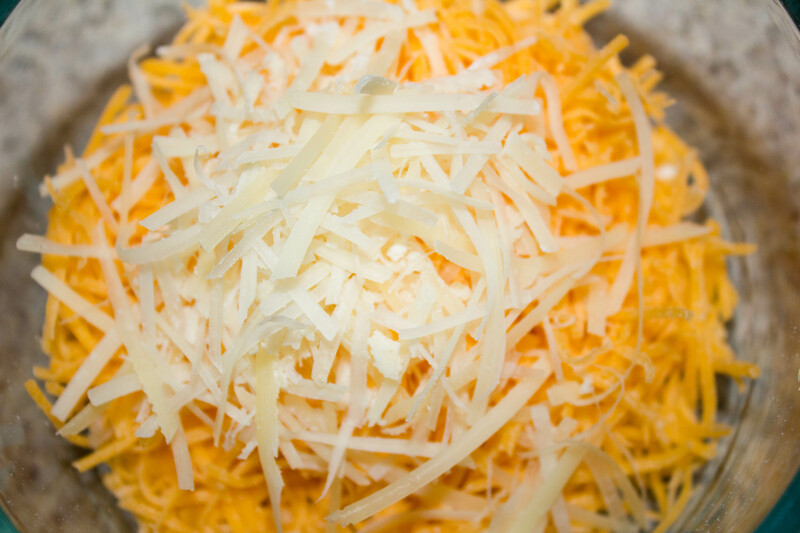 Remove from heat and add cheddar and 1 tbsp Parmesan cheese; mix well until cheese melts. 5. 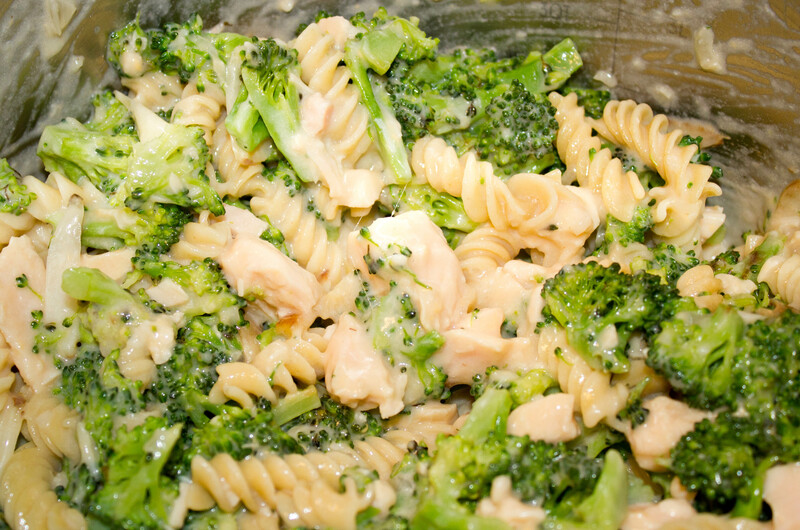 Add the shredded chicken, noodles, and broccoli to the sauce and mix well. 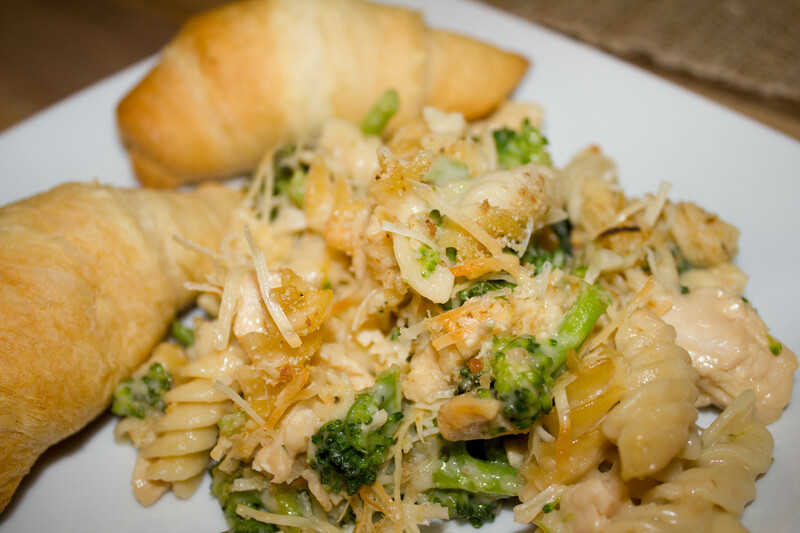 Pour into a casserole dish and top with the remaining Parmesan cheese and breadcrumbs. Spray a light layer of cooking spray on top and bake 20-25 minutes.